For this Autumn WESC introduce limited bed linen, to ensure your bed stays as fresh as your wardrobe. 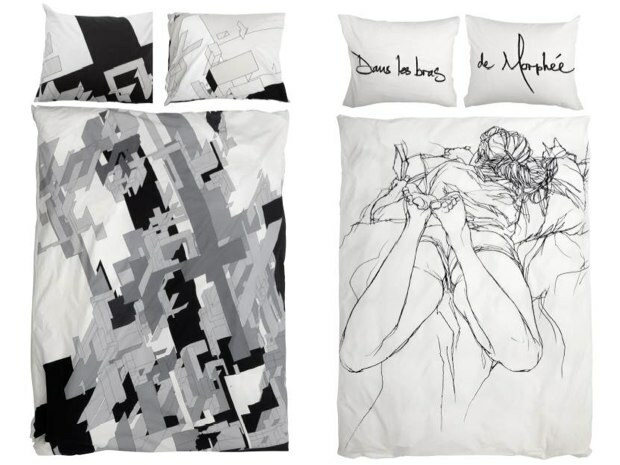 These bed sheets bring a new meaning to bedtime, WESC pulled in the talents of Mode2 and Delta to produce two sets of very impressive and unique bed sheets. Mode2’s design of a nice looking female sketched out is awesome, the detail is second to none and its a of a female, awesome. Delta uses a more graphic influenced design, with a more serious, modern tone to it. Both sheets seen here are available this Autumn from WeSC stockists and flag ship stores.